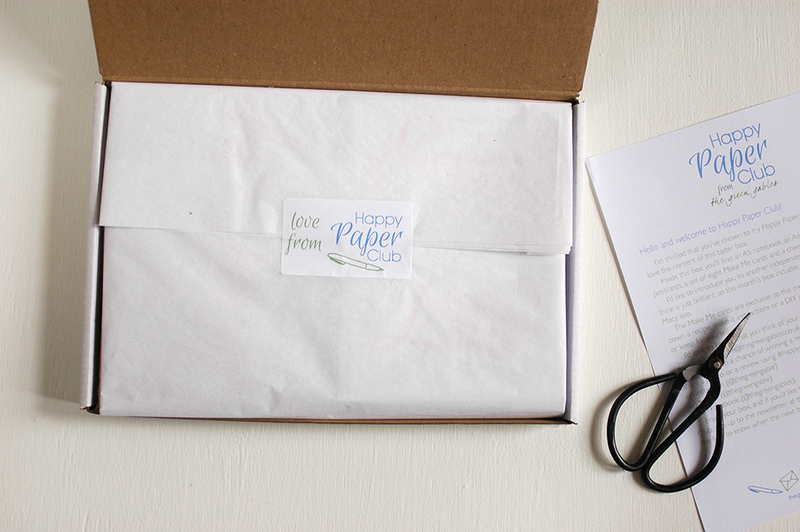 You can sign up for a 6 month subscription or a rolling monthly one, and each month a box will be delivered to your door, filled with The Green Gables stationery plus one item created by another independent designer exclusively for Happy Paper Club. You will also get a little extra surprise in your birthday month box! Or you can purchase a taster box which is a one off box, just to see what it's all about.